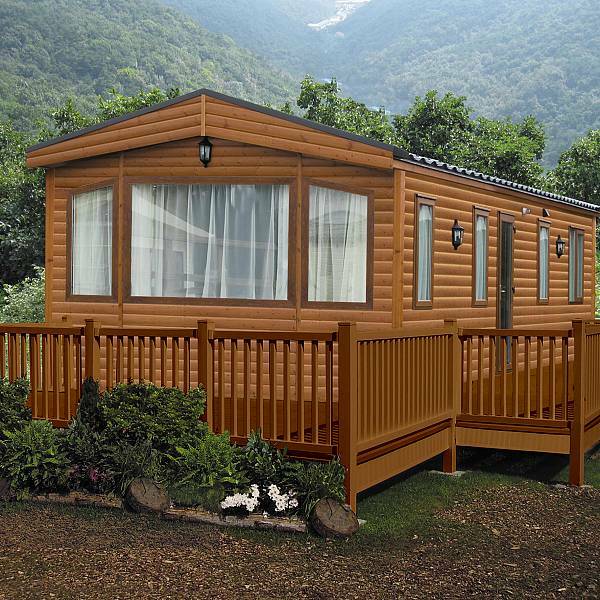 The Avon range maintains the rich walnut wood-effect creating a warm welcoming atmosphere throughout the home. 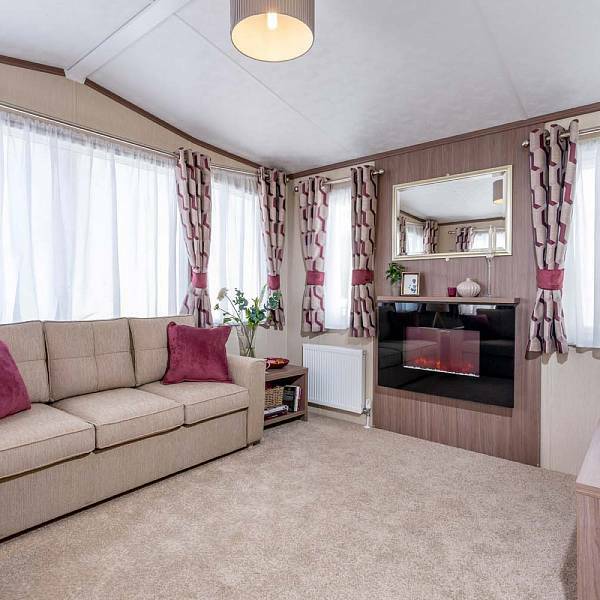 The upholstery fabric is now a warmer shade and the fire is sleek and stylish. 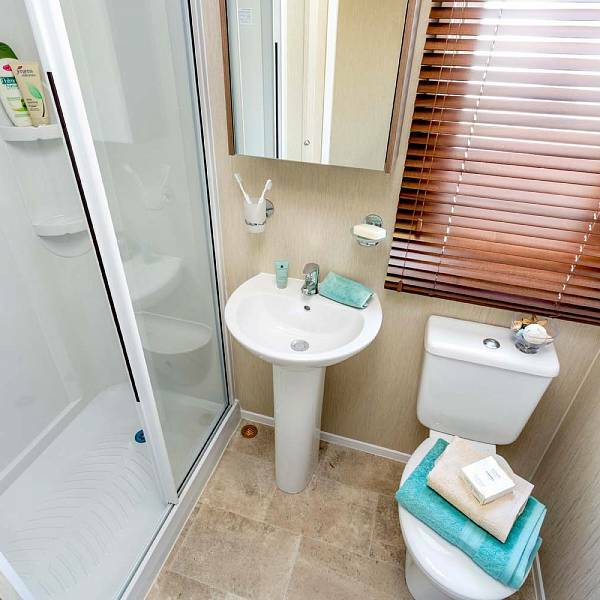 There is an abundance of storage throughout including the lift up corner unit in the lounge with space inside. 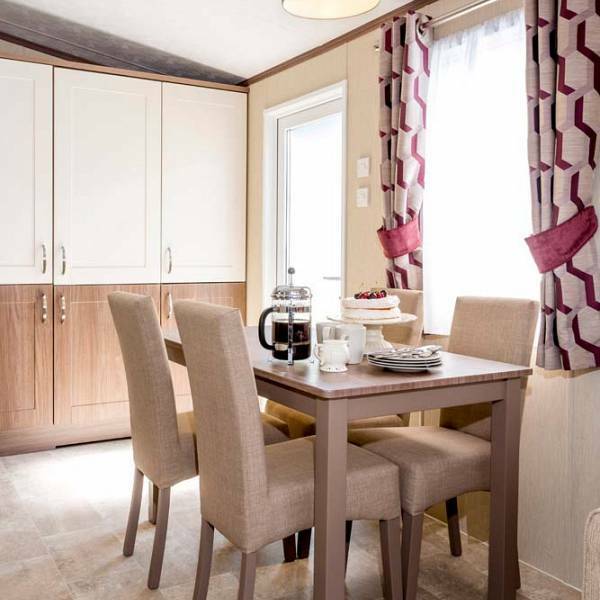 The Avon maintains its Shaker style kitchen and some of the doors have been changed to lighten the space. 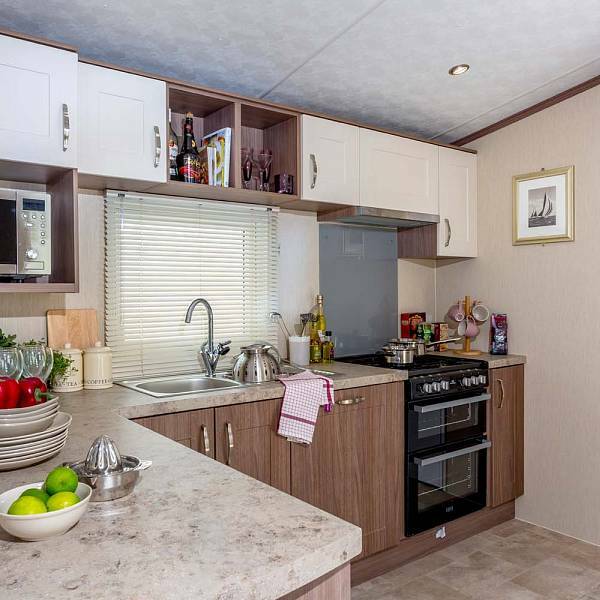 This layout is popular with customers looking for lots of workspace as the kitchen lockers free up the worktop and the microwave housing is wall-mounted in a practical position. 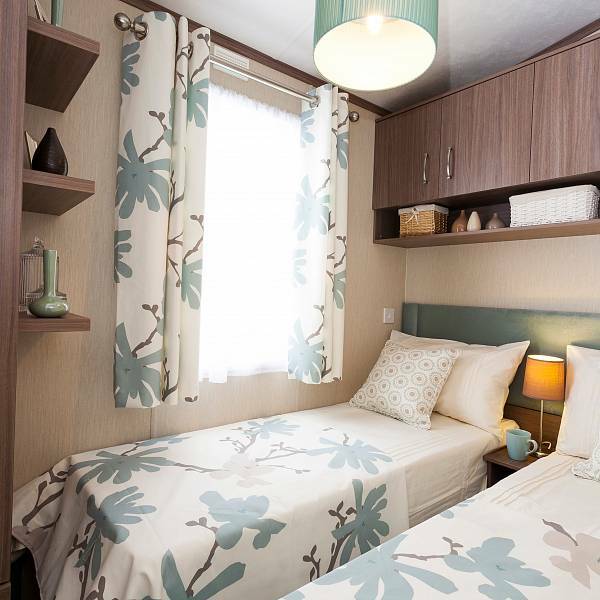 The pendant lighting brightens each room and co-ordinates with all the fabrics and furnishings. 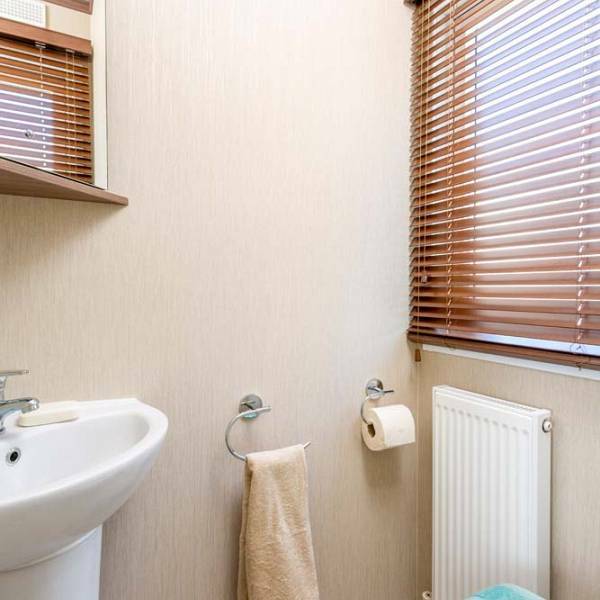 Wall lights in the master bedroom are an additional feature and the vanity unit has convenient and smart shelving. 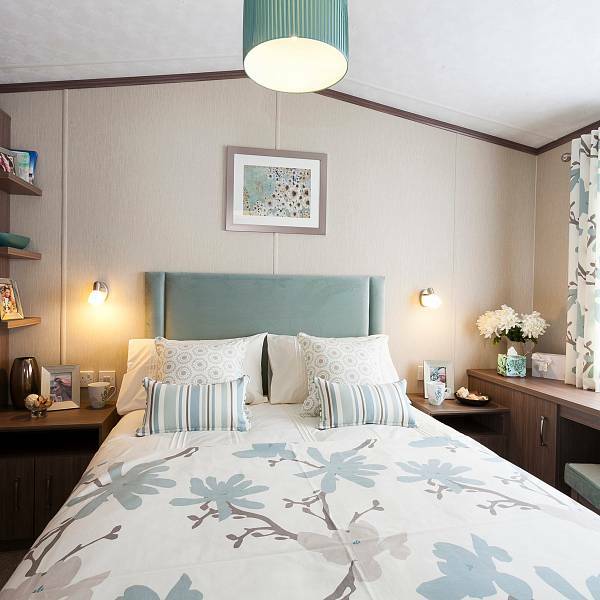 Relax and unwind in this beautiful holiday retreat. 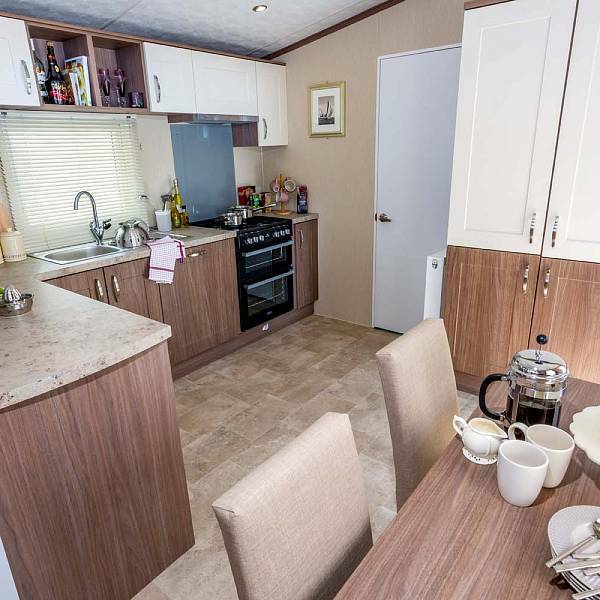 Wyldecrest Parks can supply and New Static caravan for sale from any Manufacturer on any of our holiday Parks across the UK, just like this Pemberton Avon static caravan for sale. 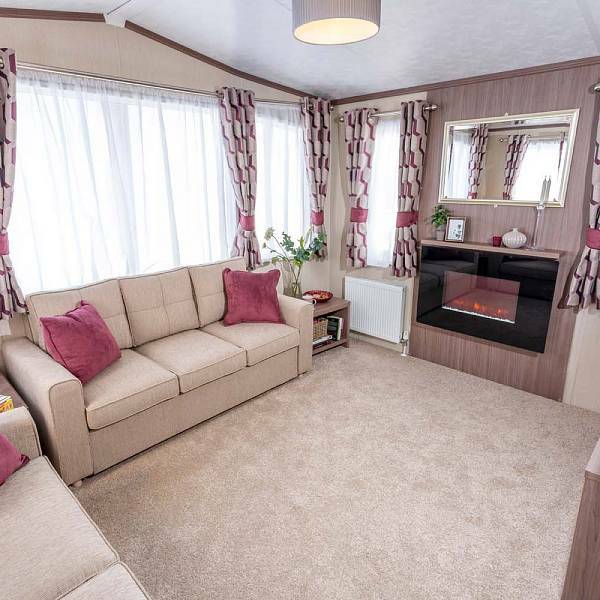 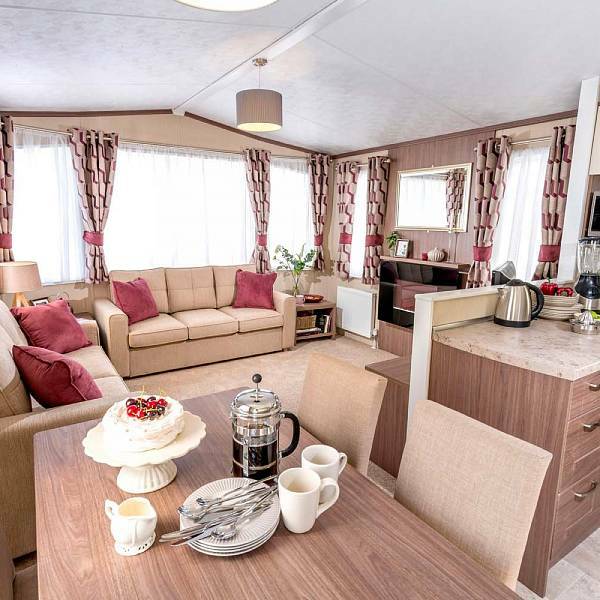 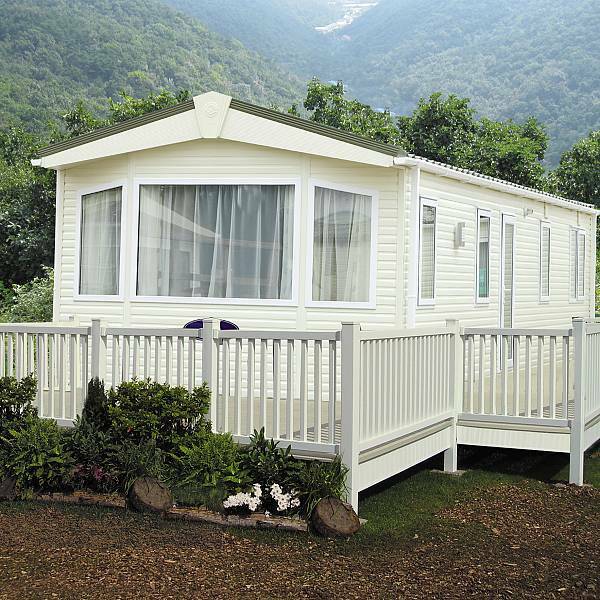 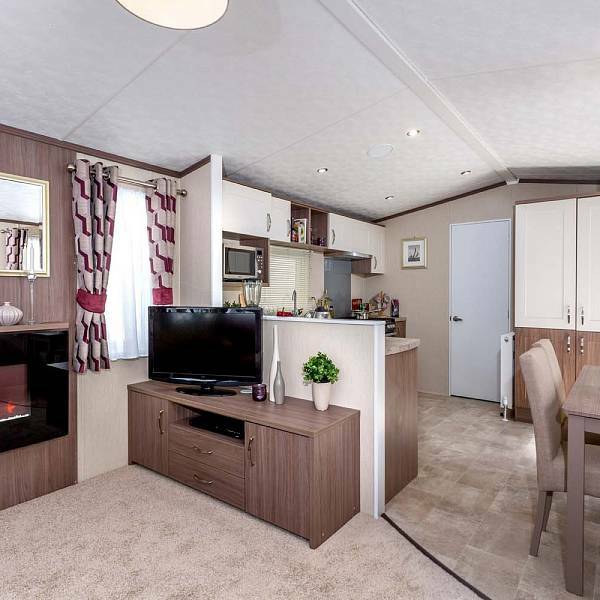 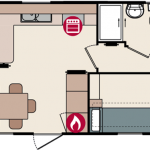 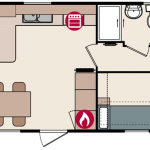 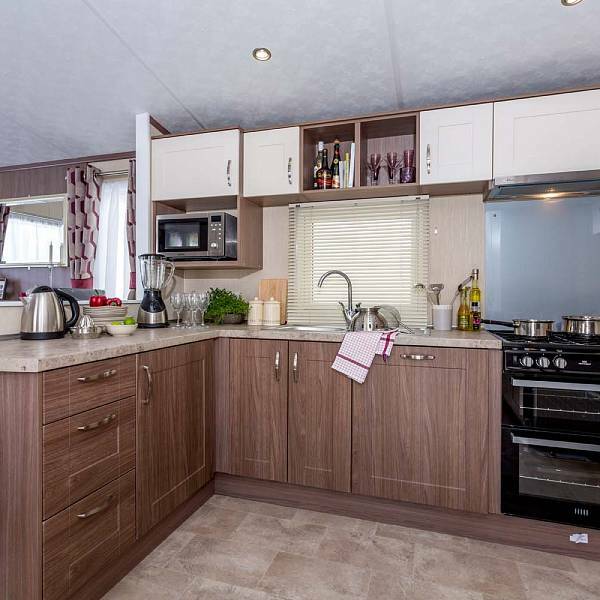 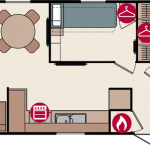 We also have a wide range of pre owned static caravans for sale and luxury lodges for sale on all of our Parks through out the UK so we are sure to have a setting and a home to suite your needs.